Thank you for your interest in the ministry of Maple Springs Baptist Church! We would love the opportunity to minister to you and answer any questions you may have about our church. Please complete the contact form below and a member of our ministry team will be happy to assist you. You can also call the office below if you would like to talk to someone directly. 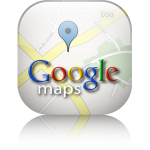 Click on the Google map icon below to view our location and get directions to our church.